Lecale wants all its members to feel safe during training and competition and to enjoy their swimming. We all - members, teachers, coaches, committee and parents - have a role to play in ensuring this. This section of the website explains the steps we take, as a club, to ensure a safe environment for all our swimmers. All Lecale coaches and committee members, including our Friday night senior swimmers who have attained their Level 1 teaching qualifications, have attended Swim Ireland run or approved Safeguarding Children courses and all are Access NI vetted. Kirstie McAllister is our main Club Children's Officer (CCO) contact and is a member of the club committee. Swim Ireland encourages larger clubs to have more than one CCO and Katrina Godfrey also helps in this role. In line with requirements, the contact details for the CCOs must be available for all members. Contact can be made by emailing lecaleswim@gmail,com and puttting 'FOR CCO' as the sunject title or you can speak to Roisin or Fiona on poolside at one of our training sessions. Please note that Club Children’s Officers can seek advice from Swim Ireland's National Children’s Officer. However, it is not the remit of the CCO role to investigate or validate child abuse concerns originating from within or outside the Club and they have no counselling or therapeutic role. These functions are filled by the statutory authorities. Parents/guardians play a vital role in the promotion of an ethical approach to and a young person’s enjoyment in sport. 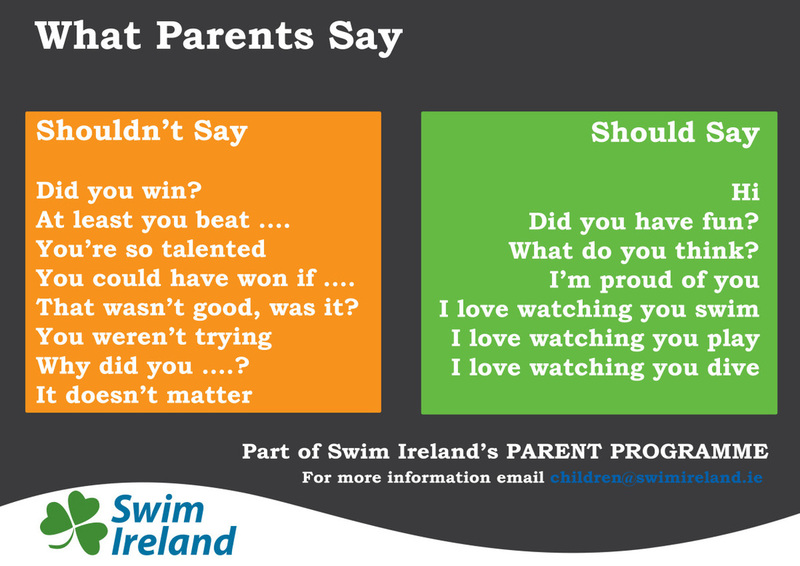 A parent/guardian is expected to be aware, respect the ethos and support the implementation of the Club Code of Conduct and Swim Ireland Safeguarding Children Policies and Procedures. Click image to go to My Magic Sports Kit and view video on how the behaviour and attitude of parents/adults can spoil enjoyment of their sport. We understand that it can be difficult to trust someone and tell them about what is happening or how you are feeling. We want to help you feel confident when you use ChildLine and show what you can expect from us. You might wonder why things at ChildLine are done a certain way. This page (http://www.childline.org.uk/pages/about.aspx ) has a list of some of the most common questions people have asked us about contacting ChildLine.